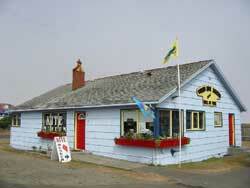 The World Kite Museum and Hall of Fame has its roots in the local community. In the mid 1980’s a group of kite enthusiasts began to discuss the idea of forming a museum dedicated to kites and kite flyers. The group met informally and developed a plan of action. They researched building opportunities, nonprofit status requirements, storage facilities, and other basic details that were needed to establish a museum. The group was eager to create a place where people could go to learn about kite history and see kiting displays. Several auspicious things happened during this period of development: 1989 was the Washington State’s 100th birthday and with this celebration came an initiative focused on developing museums and history preserving organizations. There were many workshops offered by the state to encourage upgrading and fostering museums. Our developing museum board picked areas that interested them and attended. We learned about how to run a gift shop, accession artifacts, write a mission statement, goals, and objectives, recommended storage techniques, 501 c 3 status – all these topics of importance to an new museum organization. Also in 1989 the David Checkley’s widow donated his collection of 700 Japanese, Chinese and Malaysian kites to the World Kite Museum. The 300 Japanese kites in the collection are considered the most complete collection of Japanese kites outside of Japan. Our first exhibit, “The History of Kites in Washington State”, was a week long affair in the Long Beach City Council rooms during the 1989 Washington State International Kite Festival. This same year a famous Japanese kite maker Eiji Ohashi also brought kite-making materials to Long Beach. With the help of World Kite Museum volunteers every child at Long Beach Elementary made a flyable Japanese kite. The Museum had begun with an exhibit, a unique kite display on the beach, and a school kite making class. Due to the success of these exhibits and activities the museum believed a freestanding building was necessary to house the collection. Jim Buesing went to the City of Long Beach with a proposal for the use of the Coulter home in the southwest corner of the one half block of beach cottage vacation rental property the city had acquired. Through the assistance of the City of Long Beach this building became the Museum home from 1990-2004. By August 1990, led by Buesing, the inside of the home plus the two rental rooms attached became a four-room exhibit space. The kitchen morphed into an admission desk and gift shop. The bathroom, tub and sink removed were computer room and print, picture, video and book storage. The laundry room stored kites not on exhibit. One of the exhibit rooms was designated as the Long Beach room. It was a nostalgic place for festival participants. Admission included the ability to make a kite to fly, from materials provided by the museum, a tradition which the current museum still promises. 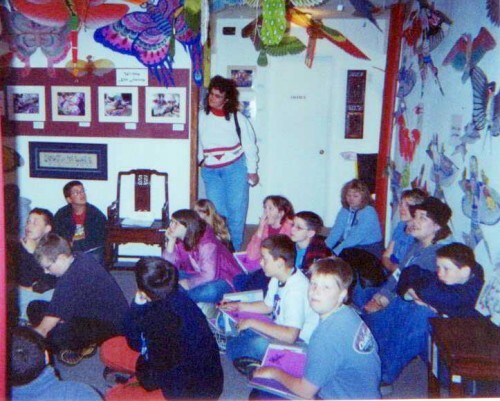 During the 14 years the World Kite Museum was in this location the museum grew their community partnerships – using the Long Beach Elementary gymnasium for adult workshops and bringing cultural experiences to their students. We also worked closely with Long Beach Peninsula Merchant Associations, providing programs for local clubs and libraries. We developed in house programs and activities like membership drives, quarterly newsletters, demonstrations, and traveling exhibits. Little did we know that running into each other in our crowded building cause us to make so many new and wonderful friends. As the museum grew we began to search for a larger space to accommodate the needs of the collection and the visitors. A 10,360 square foot, two-story building was available on Sid Snyder Drive in late 2004. By November 2005, the Board of Directors was able to purchase this building that provides over 6,000 square feet of exhibit space, room for storing research artifacts, both photos and printed ephemera, plus workshop and office space. The current World Kite Museum collection now houses over 1500 kites from 26 countries around the world. 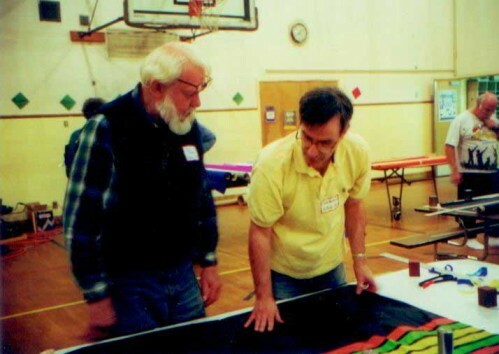 The American Kite Association combined their archives with ours in the late 1990’s. These materials coupled with our active oral history program makes the World Kite Museum resource for research on kites around the world. Textbook companies and freelance writers have utilized our ephemera to create articles and books about the history of kiting. The History of the World Kite Museum and Hall of Fame now proceeds with educating and entertaining visitors, protecting and increasing our collections plus researching and discovering more about kites past and present.